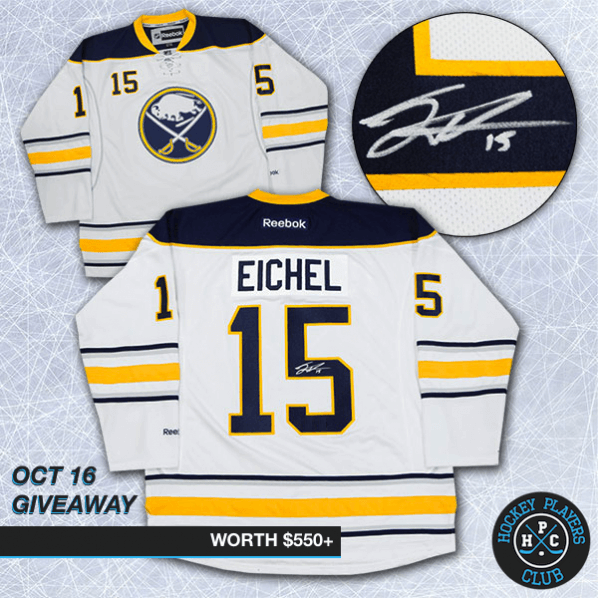 The winner will receive a Jack Eichel autographed jersey valued at $579.99. This Buffalo Sabres hockey jersey has been hand signed by Jack Eichel with permanent market and includes a Certificate of Authenticity and tamper resistant hologram. Your profile must be complete, including a profile picture and gear, to be eligible. Winner will be announced via Facebook, Twitter and Instagram October 31, 2016. If you’ve already completed a player profile, you are eligible to win. Sweet, right?! 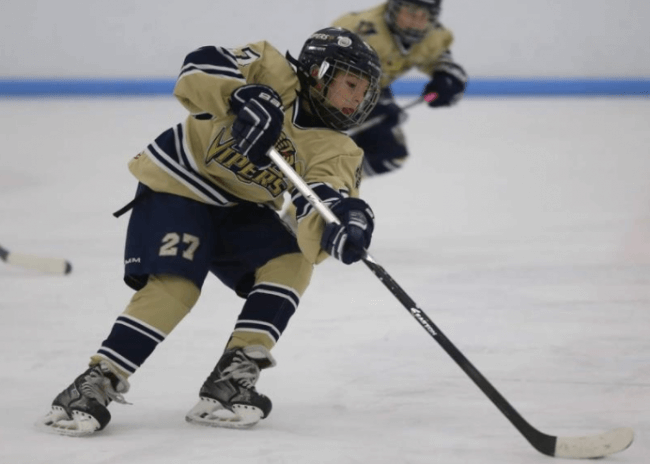 Congrats to the winner – Anthony Cappello from Ossining, NY! Sweet! Did you create a player profile? If I already have a profile will I still be eligible for the eichel jersey? Yes, as long as your profile is complete – picture and gear included – you are eligible. Woah I would love this. Also what does ‘picture and gear included’ mean? John, simply make sure to upload a picture and your equipment details when you create your player profile. Travis, you sound like one hell of a teammate! That sweater would be a wonderful catch. Would be awesome to win this before he really breaks out! This sounds really cool hope I win. My grandsons are crazy hockey players. The are 6 and 9 years old. Thank you for the jersey. Can’t wait to get it. Love the tape too! Can’t wait to get it out to you, although I think our intern might cry a little shipping it out. Love to hear you’re enjoying our service as well!